When I was a kid growing up, Christmas was a big deal. Well, I should say that presents were a big deal. We were given a lot of gifts by my parents – some practical things like socks and pajamas, and some fun things. But without fail, my sister and I were always given one big gift each year – gifts like a bike, walkman, boom box or camera. Sometimes that gift was waiting under the tree, nicely wrapped. Other times my parents would “forget” to put them under the tree to surprise us with after we thought all the gifts had been opened. I grew up thinking presents was really what Christmas was all about. Oh I knew Christmas was about baby Jesus being born in a manger – of course I knew that. After all, I was one of the angels who sang in the Christmas nativity play at church. And I knew something about the fact that Jesus didn’t stay a baby – that he was the long awaited Messiah come to earth. After all, I helped light the advent wreath. Oh I also knew that Jesus was the light of the world, whatever that meant. After all, I was the one who always cried at the candlelight service when we lit our individual candles and sang “silent night” in unison. But even with all that, Christmas was really about presents. Sure, Jesus started the whole Christmas thing, and so those details were important and all, but when it came right down to it, Christmas was about presents. I even remember being annoyed on Christmas Day when my grandparents would call to wish us all a Merry Christmas – their phone call would interrupt the most important part of the day – opening presents. As a newlywed, I spent several of our first Christmases together disappointed and sulking. There wasn’t a big present waiting for me under the tree. My new husband hadn’t “forgotten” to put my special gift under the tree so as to surprise me with later. Sure, we exchanged a couple nice gifts, but I was wanting to be wowed, and I wasn’t. I was left feeling rather empty. And so as each Christmas approached, I dreaded the holiday, knowing it was just going to be a time of disappointment. But then we had children. I knew without a doubt that I didn’t want our children growing up thinking Christmas was all about the presents. I didn’t want God’s life-changing entrance into our world to become secondary behind the hustle and bustle of commercialism. I didn’t want our children spending their first few years of marriage sulking and disappointed because their new spouse hadn’t wowed them with big gifts. I did want them to grow up learning and knowing what Christmas was really all about. And what is Christmas really all about? Most of us could recite the story – an angel visits Mary and tells her she’s expecting a baby. The betrothed couple trudge to Bethlehem to be counted in a government census and can’t find lodging. The baby is born in a stable and is named Jesus because an angel told them to do so. Some shepherds come, some angels sing, and eventually some wise men show up on their camels with some interesting gifts. That’s the story, right? Well, that’s certainly the details of the story. But Christmas, really, is a story of hope. It’s a story of promise. It’s a story of revolutionary love. Christmas is a story that changed the world. Christmas is a story that changed my life. And it’s a story that could change yours. Christmas is about Jesus. Not just baby Jesus lying silently in the manger, without making a sound. But about a man, a man who was God himself, a man who would humble himself to enter into our world for just one reason – His love for each one of us. And Jesus wasn’t one of those aloof leaders who kept insisting from afar, “I love you – I really do.” Jesus got his hands dirty and jumped right into the messiness of life. He hung out with the marginalized and hated. He interacted with the women and children. He healed the sick and hurting. He turned the world upside down with his teaching. Jesus taught that following God wasn’t about being powerful or having life all figured out. It wasn’t about being happy at any cost, or even being successful. Those who were loved and blessed by God were the down and out, the needy, the hurting and the marginalized. They were the ones that everybody else just looked past – But Jesus really looked at them and saw them for the person God created them to be. Jesus not only loved people, but he identified Himself with us. He is the starving child, and the homeless man. He is the prisoner and the widow. He revolutionized our ideas of justice and righteousness, saying – whatever you do to each of these – you’re doing to me. Christmas, the time of year that we celebrate Jesus becoming man and coming into world, it’s all about Jesus – not in some cutesy way that we make sure we have more nativity scene decorations than santa and snowmen. But Christmas begins and ends with Jesus. It is about embracing Him as a savior, as our savior. It is about reorienting our life toward his values of justice and righteousness. It’s about realigning our lives with Him so we can reflect his light to others. Christmas is a story of promise. Throughout the Old Testament we see allusions, hints, foreshadowings, and clues all pointing to a forthcoming Savior. The Savior was God’s way of bringing his people back into relationship with him. The Savior is our way back to God – I mean, we’ve all messed up, haven’t we? Some of our mess-ups have been pretty public for many to see. Those mess-ups often feel like the whole world is watching, snickering and judging. And we’ve felt shame. And some of us have quieter, more secretive mess-ups, and we shudder thinking about what our friends and family would think if they ever knew our secrets. And we too feel shame. But, as hard as it is to imagine and understand, God has nothing to do with that shame. In fact, his promise of a savior was all about washing away our shame and making us new creations. It is a gift, freely offered. And here’s the deal – there’s nothing any of us can ever do or say or give or be that would make us good enough to ever deserve this gift. It’s a promised gift given simply in grace and love. And Christmas is all about that promise fulfilled. Christmas is about revolutionary love. Jesus started a revolution. His ideas challenged every idea that mankind had. Jesus taught that loving and following him wasn’t about following a bunch of rules. It wasn’t about talking or eating a certain way. Following Jesus was simply about love – loving God and loving people. But as simple as it is to say, living it out isn’t quite so easy – loving God means following His ways, knowing Him intimately, being set-apart as His people. It means our lives and our choices reflect God’s character, not society’s norms. It means our priorities – for our time, our energy, our celebration, and yes, even our money – are to be centered around God’s agenda, not our own. And loving people – that’s not an easy calling either. Loving people means that we see others – in our school, workplace, home, neighborhood and even our world – we see them as God sees them, we see them as God sees us. Every single person, no matter their decisions or mistakes in life, is made beautifully in the image of God. And so as we treat people, we treat God himself. No matter how annoying or hurtful that person is, she is made in the image of God. No matter how rude or hateful that person is, he is made in the image of God. And we are called to love them with a revolutionary love that comes not from our own abilities, but from the love God bestows on our hearts to share. And finally, Christmas is about changing the world. One insignificant night two thousand years ago set into motion God’s plan for rescuing each of us from our messes and our yucky world. Maybe the grace of Christmas has entered your world and changed you, or maybe this year will be the first year you get beyond the wrapping paper, shopping lists and stress and accept the loving embrace that God has for you. But no matter where you’re at, Christmas is for more than just you. There is a hurting, dying world that surrounds us, and while it’s easy to ignore that and go on about our lives as if it isn’t happening, it is. What if Christmas were to once again become about changing the world? What if we adjusted our focus from endless shopping lists, buying gifts out of obligation and filling up under the Christmas tree? What if we refocused on using the incredible resources we have been entrusted with to change someone’s life? What if we committed this year to buy just one less gift this year and dedicate that money to changing the world? This isn’t about being Scrooge – it’s about engaging in meaningful ways with a holiday that was never about commercialism, wrapping paper, and credit card debt in the first place. It’s about creating new traditions starting today that can shape who we are, and how we celebrate. And at our house, our Christmases are now all about creating new traditions. Our children make Christmas lists, but they list what items they want to put in their Operation Christmas Child boxes. Wrapping paper is used – but it’s used to wrap homemade treasures the kids spend weeks creating for each other in secret. Shopping trips are done – but to buy items for our family’s chosen focus. One year it was to buy clothes for orphans in Uganda. Another year it was to bless a local, struggling family headed by a single mom who had 12 kids. And schedules are full – not with endless to do lists, but with time spent together enjoying each other and building memories. And so I guess my kids might also say Christmas is about presents – but it’s about presents that we give others, and God’s presence in our lives and in our Christmas celebrations. Christmas is a time of hope, promise, revolutionary love and changing the world. How might you celebrate this year? 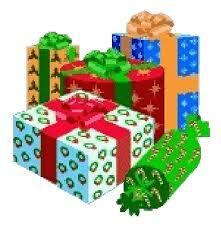 *”Christmas is all about Presents” was published in December 2011 by Burnside Writers Collective. Love, love, love it Kristen. Beautifully written and very very well said. This is exactly what I wanted to read. Thank you!!!! You are such a blessing. Beautifully written. I heard you last night on Montana East say Christmas is all about presents. . . . . and so I thought I would try to find your website this morning. I was elated to see that Christmas is all about presents… was on the website. Dorothy Sturlaugson said “You are an amazing woment” and you do have an amazing gift of words. I have been feeling these thoughts about Christmas for the last few years. I LOVE Christmas. It is a warm time of year to share time with family and friends, but it has become materialistic. 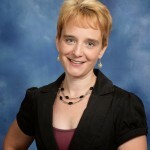 Carol – thanks for searching out my website and finding me online! Thank you for your kind words, and I’m thrilled to hear that you were blessed by the “Let’s Talk About It” program with Dorothy Sturlaugson. I love writing and speaking, and am looking forward to more opportunities to do so. I sure hope you had a wonderful Christmas this year filled with warmth, memories, family and friends! Nice post! Well done! When you say Jesus started a revolution, it is also important to mention that this revolution was to get the people back to what The Father was already doing and wanted of and for His people. Jesus came only doing the will of the Father, He didn’t change what the Father had already set up, He came to get the people back to that, the purity of that instead of man made rules added on. He came preaching the Torah of God – a very revolutionary plan to live and love God and man, if there ever was one! Merry Christmas!